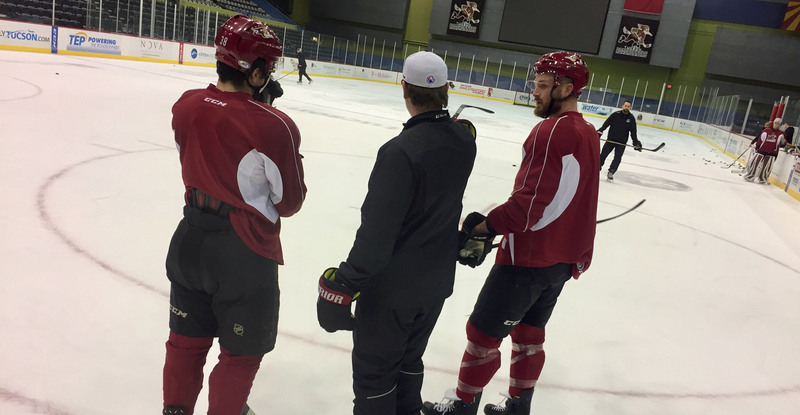 Good morning from Tucson Arena, where the Roadrunners assembled for a morning skate ahead of tonight’s game – a 7:05 PM start. 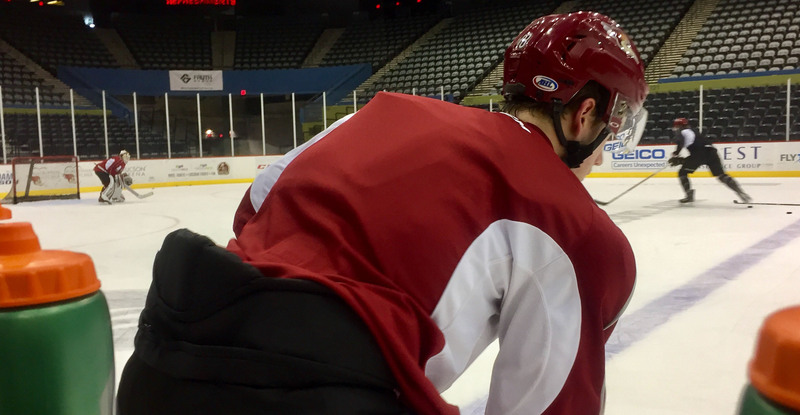 Welcome the San Antonio Rampage, a team that is in the midst of a grueling 12-game road trip. Tonight marks the ninth game of the Rampage's lengthy trek, one that spans over a 25-day period. They are 2-4-2-0 through the first eight games of their tour away from south-central Texas. The Rampage, entering the evening just three points out of the Pacific Division’s final playoff spot, are making their only stop in Southern Arizona this season for the weekend’s two-game set. In the teams’ two meetings at San Antonio’s AT&T Center on January 19 & 20, the Roadrunners outshot the Rampage by a combined count of 87-38, winning both games in overtime, 2-1. A new team record? We’re close! Dylan Strome, who totaled five points (2G, 3A) in two games last weekend against the Bakersfield Condors, will – with his next goal, set a new franchise mark for goals scored by a player in a single season. Strome matched Christian Fischer’s 2016-17 mark in scoring his 20th of the year last Saturday against the Condors. Between the two teams, Michael Bunting leads all players in points scored through their first two meetings, totaling three assists. Bunting registered his 30th point of the year Saturday night against Bakersfield, becoming the fourth player on the Roadrunners’ roster to reach that mark. 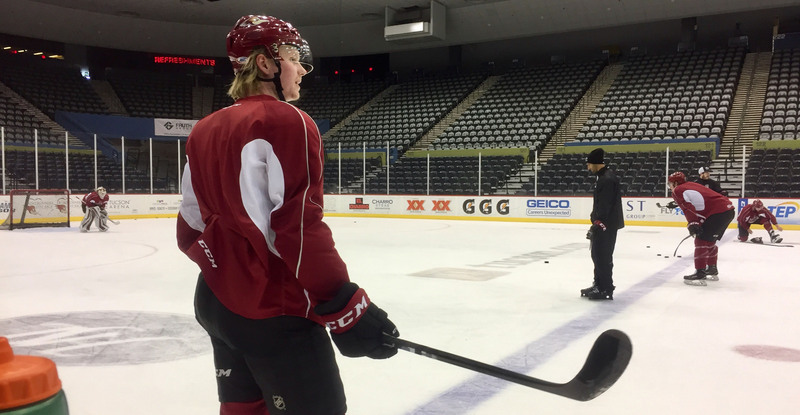 Lane Pederson, who’s amassed three goals and five points in the Roadrunners’ last five games, shared a few thoughts following the morning skate. [The Rampage] have two really, really good goaltenders. They both stood on their heads both nights we played them. They’re a quick team and they capitalize on their opportunities, they like to move the puck up quick, and they’ve got some good defensemen back there that are pretty mobile as well. We’ve just got to stick to our game plan, focus on the details that the coaches have put in place, and we should be fine. This year, with whoever’s out of the lineup at any given time, it’s been next guy up and everyone’s done a really good job of filling holes with some of the big pieces we’ve had out for extended periods of time. We’re just going to keep moving forward here and everyone’s going to do their job and keep working toward the playoffs. I think everyone’s feeling pretty good. Last weekend didn’t really end off on the right foot that we wanted it to, but it’s a new weekend and a new set of games, and we’re going to put our best foot forward.